The W660012I is one of Cartier's La Dona series model. An beautiful Swiss watch that is simply a must have for watch-loving women. 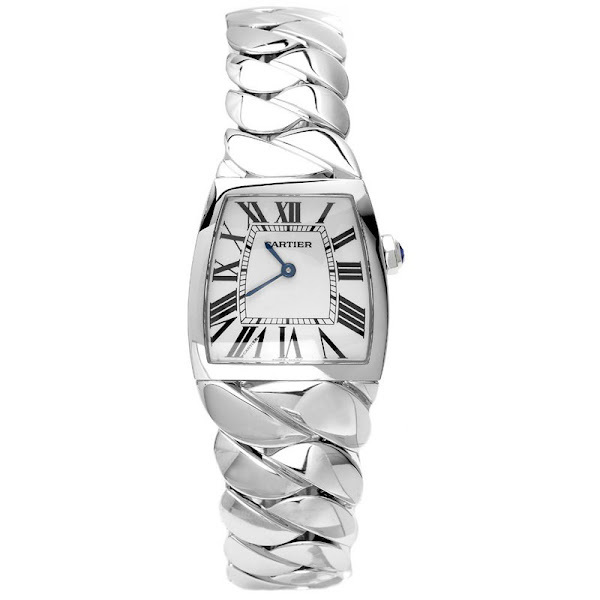 This Swiss made Cartier watch features a truly unique case shape and an alluring, braided stainless steel band add extra intrigue to its. Its stainless steel bezel beautifully frames a white-grained dial that's protected by a scratch-resistant, sapphire-coated dial window. Besides, this timepiece has a dashing black Roman numeral hour indicators and black stick minute markers are joined by blued steel hands and a Cartier logo near the 12 o'clock position. This Cartier's own Calibre 059 Swiss-quartz movement is also water resistant up to 99 feet. This Cartier La Dona's original price is $4,925. You can find an original Cartier W660012I Watch at the site(s) listed above. However, we don’t guarantee its availability as being listed here simply means that those site(s) has the item in question by the time we wrote the review.